I was recently contacted by Heather who has some wonderful pillow covers in her shop on Etsy. 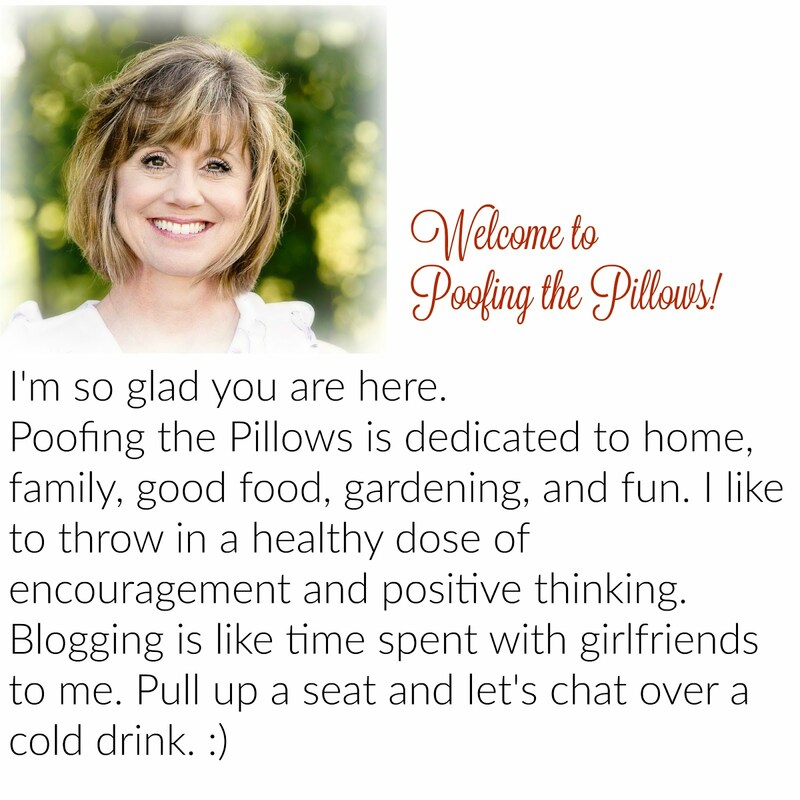 Heather has offered to give away two pillow covers to my Poofing the Pillows friends. I've chosen some from her Etsy shop, Feather Hen that I wanted you to see. Heather sent two pillow covers to me to try out. My husband immediately claimed the one below for his office. This one below is in my son's room. It doesn't have a pillow inside yet but you get the idea. Heather personalizes the pillows at your request and she's fast! I bet you all will love these. and come back to tell your favorite item. Check her out on Facebook then come back and leave a comment. You can get two chances to win. I will draw on Friday. Thank you Heather for sharing your with us. These are precious. I copied the name of the one I LOVE! Perfect for our 40th anniversary coming up!! I love, love all the wedding ones, my son is getting married in June:) I've added her to my favorites too! I visited her FB and left a comment, I had already liked her page! These are awesome! I love the lumbar pillow with the script monongram, family name, and established date! I stopped over and 'liked' her Facebook page, as well! Thanks so much for the chance to win! Hard choice to make I love them all..but really loved the butterfly pillow and monograms! I checked out her facebook page too! She has a great store! I like the one with the butterfly or the family name lumbar pillow. I would love the Bella/pink pillow for my granddaughter Emma. Everything in her shop is awesome! Liked her facebook page.. love them all.. love the one you have in hubbys office.. Smiles.. I love those pillows. I have been thinking about getting a monogrammed one! Have a great week! Okay, I just went and posted a comment and liked her Facebook page. Thanks again! How adorable! 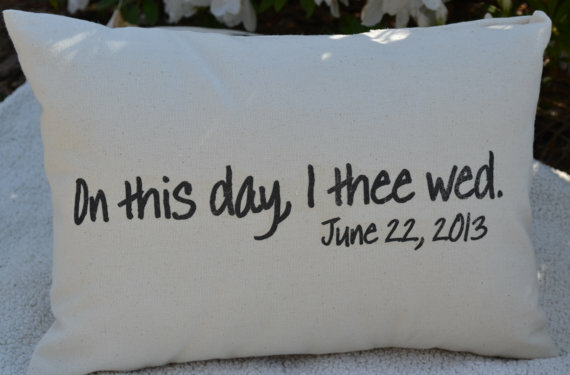 I love the Mr&Mrs pillows and the 'Til Death Do us Part pillow is way cool. What a great shop and very reasonable prices! What a wonderful giveaway, Stacey! I really love the couple's pillow cover. So cute! I 'liked' Heather's FB page. Thanks for the chance to win! I love this one: http://www.etsy.com/listing/121708913/12-x-16-lumbar-personalized-pillow-cover? I like Feather Hen on FB! I love lots of pillows and pillow covers are the way to go now! I like this one best...18 x 18 Pillow cover butterfly with script indoor / outdoor fabric Cream! Thank you! What a gifted lady Heather is! I liked all the pillows in her shop, but I think the Mr and Mrs. one is one I would pick. So generous of her and you to offer such a great giveaway. I love the couples pillow! hope i win! thanks for dropping by too Stacey! I absolutely love love love the 18 x 18 Personalized Pillow Cover with Family Names and Establishment date. I like Feather Hen on facebook. What a generous and fun giveaway....so appropriate for Poofing the PiIllows, LOL! I LOVE the family tree pillow on page two. SO CUTE! I love the 12 x 16 lumbar pillow personalized. I can see it now - Clark & Co.thanks for visiting 20 NorthOra. Yes, Igot the bed spring wreath at Canton and added the ribbon and sunflowers. I nearly missed your giveaway! What a neat shop and the pillows are reasonably priced. I would love to have one that has our last name on it with "& Co." Very cool! Thanks for the chance to win, Stacey! Oh my goodness! You know how much I love pillows. I love them all! Hard to pick a favorite. I think the one that stood out the most was the personalized lumbar pillow of the family name in black and white. She has a great assortment to choose from! 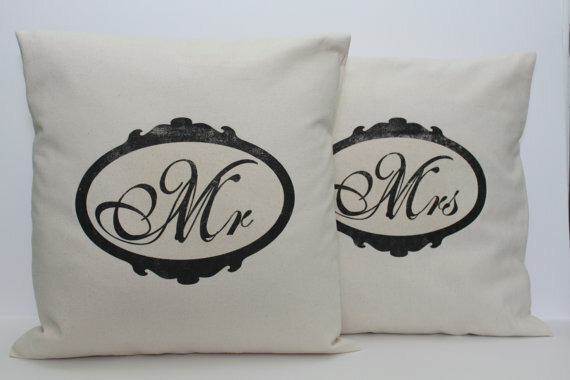 I love the Mr. and Mrs. Pillows!